Expertise Names EJP Marketing Co. LLC One of the Best PR Firms in Dallas for Third Year Running | Millennial-Led Public Relations & Marketing Consulting Firm in Dallas | EJP Marketing Co.
At EJP Marketing Co. LLC, we deliver PR and digital marketing services that help propel our clients forward and expand their reach. We bring our extraordinary vision, evidence-based strategy, and own personal brand of grit. When you work with our team, our goal is to make your business shine. With a sound strategy and a dash of personality, we make a difference to companies of all sizes, types, and industries. We can make a difference for you, too. Expertise, a directory dedicated to helping people find the best resources in their communities, agrees. 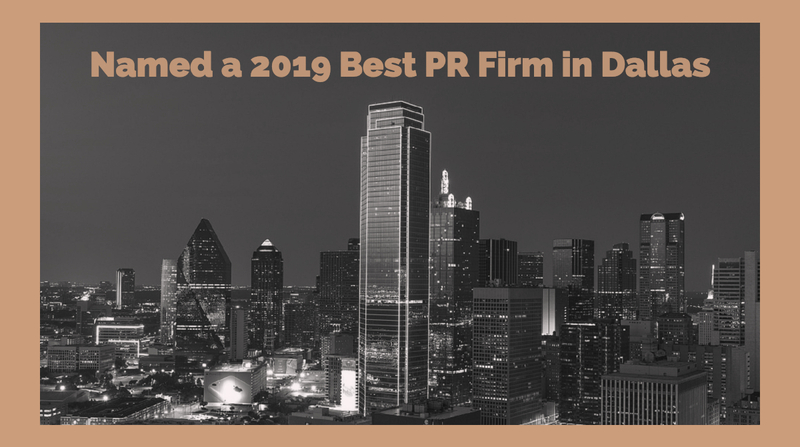 They’ve named us one of the top PR firms in Dallas for the third year in a row. The publication highlighted us for our social and digital media marketing, public relations, brand marketing, issues management, graphic design, and search engine optimization services. Public relations may be a dynamic and ever-evolving field, but we think that the bones of it remain the same. Deliver a good product and show up to work every day ready to tackle the world, and you’ll see success. This is the kind of drive our employees bring to the office every day – leverage that energy to work for you. We’re thankful for our team of interns, account managers, graphic designers, and digital gurus that made this success happen. Most of all, we’re thankful for you! We love each opportunity we get to help grow a business. We couldn’t accomplish this without rave reviews and big dreams of our clients. Being a small part of your business journey is the fuel that keeps us going. On behalf of everyone here at EJP Marketing Co. LLC, thank you for helping us achieve this milestone! We look forward to a future chock full of processes that help companies of all sizes and industries smash their goals.